Do you want regular cleaning for your business? 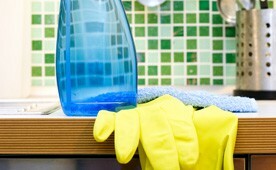 Are you fed up of doing the household chores? Have you had a party and want us to clean up afterwards? If so, then you’ve found the professionals in us. Providing Bramhope and Adel with domestic and commercial cleaning solutions for years, you can be sure that your property will be cleaned to the highest of standards with the best materials by the best cleaners in the business. Our dedicated team of cleaners provide quality, reliability and experience across the area. They are all trained and vetted, providing up to date references, and all work is fully insured, to give you the confidence that the job will get done to the highest standard. Get in touch with us today for a free estimate on all cleaning work, and see how our friendly and hardworking team can clean your home, so you don’t have to. Call us today by dialling 0113 370 9773.